Five days in Dubai with TapRooT® will expand your professional knowledge and build your expertise in troubleshooting and problem-solving. You will learn the TapRooT® Essentials to find and fix the root causes of incidents, accidents, quality problems, precursors, operational errors, hospital sentinel events, and many other types of problems. Essential Techniques include: SnapCharT®, Root Cause Tree® & Corrective Action Helper®; additional advanced topics include CHAP, Human Engineering, Interviewing, Safeguard Analysis, and Proactive Improvement. Upon completion of your course, you will receive a certificate of completion and a 90-day subscription to TapRooT® VI online. A TapRooT® course is a career booster and can prove to be a professional game changer for you. You’ll be amazed at how much you learn that you can immediately apply. 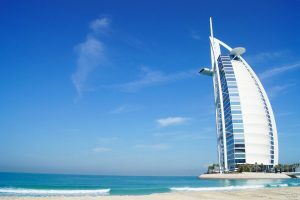 While in Dubai for your TapRooT® course, you will want to explore this eye-opening city on the southeast coast of the Persian Gulf. 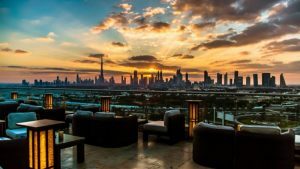 Below, to orient you to discover what to see and do in Dubai, we’ve included highlights of this United Arab Emirates destination. Be sure to discover even more points of interest to explore on our Dubai Pinterest board. Dubai is an exhilarating blend of history and culture, panoramic views, world-class beaches and shopping, and unforgettable experiences. A constitutional monarchy, established in 1833, Dubai today is a gleaming metropolis that boasts the world’s tallest building—provides a stark contrast to the setting of Old Dubai, or Old Town, with its coral-hued, low-rise structures. You can learn about the traditions and culture of Dubai here. The 2,722-foot skyscraper Burj Khalifa is the world’s tallest structure, its design influenced by Islamic architecture. 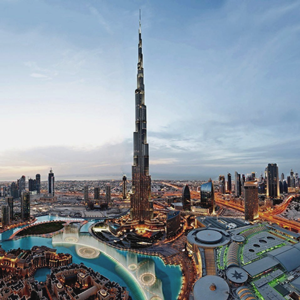 Burj Khalifa is surrounded by a 27-acre park with pools and fountains in the park’s center. Watch the impressive Dubai Fountain, with 6,600 lights, 50 projectors, and 35 melodies among its choreography, water from the fountain dancing 500 feet into the air. Buy tickets in advance for the best price for At the Top observation decks, the fountain boardwalk, or the fountain lake ride. Plan to have dinner at an outside table near the Dubai Mall at one of the Souk Al Bahar restaurants for a good view of the fountain show, which occurs every half hour from 6:00 pm to 11:00 pm. 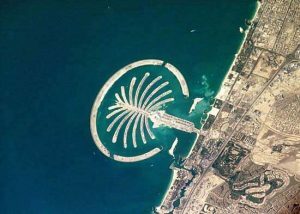 With the Palm Islands, Dubai is underway in developing remarkable man-made archipelagos: Palm Jumeirah, Deira Islands, Palm Jebel Ali, The World, and Bluewaters Island. Savor the fresh air on Palm Jumeirah: Rent a bike and go exploring. Cool off and delight in a water adventure. Experience Old Town and its enchanting souks. A “souk” is a market. Dubai Gold Souk is the duty-free gold market in historic Deira, or Old Dubai, offering some of the world’s lowest prices in gold jewelry. Nearby Heritage Village and Diving Village will give you glimpses into an earlier Dubai culture through crafts and the history of the pearl industry. You’ve seen silhouette images of this icon: the alluring, sail-shaped Burj Al Arab Jumeirah. Now, get a close-up view of this graceful monument that offers resplendent hospitality to its guests. Visit Jumeirah Mosque. The mosque is open to non-Muslims and a tour offers the opportunity for insight into the Islamic religion. 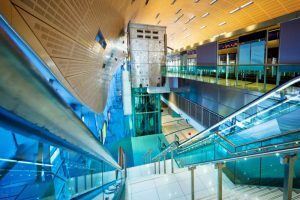 Note: The Dubai Metro is a great way to get around the city, and the car windows are huge to facilitate spectacular views. Tuck into Turkish coffee, wonderful teas, dates with ice cream cake with chocolate fondue, a lovely breakfast—all with a splendid view of the Palace Hotel—at La Postreria. Sample the seafood at Bice Mare on the terrace while overlooking Burj Khalifa and the Dubai Fountain. Order scrumptious Italian fare at Serafina Dubai. Al Dawaar: This revolving rooftop eatery, Al Khaleej Road, Deira Corniche, is on the 25th floor of Hyatt Regency Dubai. Zaroob: Dine on Arabic street fare in the outdoor garden near Dubai International Financial Centre. 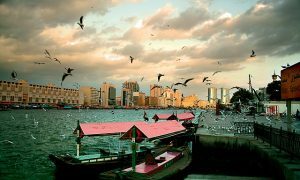 See the souks, the Dubai Courts, and all the sights from a delicious dinner cruise on the Bateaux Dubai. Register today for your TapRooT® Training in Dubai, United Arab Emirates, October 14, 2018: 5-Day TapRooT® Advanced Root Cause Analysis Team Leader Training.